Let’s face it, finding a real and authentic experience these days is becoming more…and more difficult. Campgrounds and RV Resorts are turning into glorified parking lots with electrical boxes, water spigots and hotel sized fees. We started RV’ing to find adventure, escape suburbia and enrich our lives. 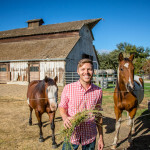 So, we’re ditching the parking lots for farms & wineries! We’ve been staying at farms and wineries since we first started RV’ing and these stays have been some of our most unique experiences. We usually found these opportunities through friends but it wasn’t something we could do everywhere, much less something we could easily suggest or recommend you to do. The Harvest Hosts concept is simple: For $44 a year (current 1 year price for 2016) you get access to all of the “hosts” around North America that allow a minimum of 24hrs of free camping. The hosts could be anything from a brewery, a winery like Bar Z, a farm like Lucky Acres, a creamery like Jumpin Good Goat, a Peach Farm, aviation museum or wildlife preserve. You should always expect the accommodations to be 24hrs and dry camping. However, some places have provided free hook ups and offered us extended stays when they’re not too busy. Here is a link to the public HH map http://harvesthosts.com/Maps.htm (you will get more detailed access once you sign up). The 24hr stay policy is in place as a safety net and not a mandatory rule.  If you don’t like the location or don’t jive with the Host, you can pick up and move along to the next place without worry of offending anyone. If the wine goes down like water or the scenery brings you to a new level of Zen and you want to stay longer, just ask! Whatever you do, make sure you follow the Harvest Hosts Code of Conduct. Why The Free Camping, What’s The Catch? Why would a preserve, farmer, winemaker or anyone give someone a free place to camp in their RV? The reasons are different for each host. Some are looking to draw in new customers, educate about animals or agri-tourism while some just really like sharing their passion. We like to say ‘thanks for the hospitality’ by purchasing a wine tasting, fruit & veggies, museum tickets or whatever strikes our fancy. Why? Because the program is about having unique experiences and supporting local business, not just free camping. As with anything the Harvest Hosts program does have its ups and downs. Unique experiences with some special access. Whether it’s a free sampling or a morning alpaca feeding you’re invited to participate in, it seems there’s always some extra perk. As an overnight guest you get an experience that not every visitor gets. From watching farms come to life in the morning to winding down with the winemaker over a glass of vino in the evening. Each location is unique in every way. We haven’t had any 2 experiences alike. With locals at your fingertips it’s the easiest way to find out where the best food is and to get tips on what to see and do in the area. You are in their backyard after all (sometimes literally). You don’t have to worry about drinking and driving! Your home is in the parking lot. 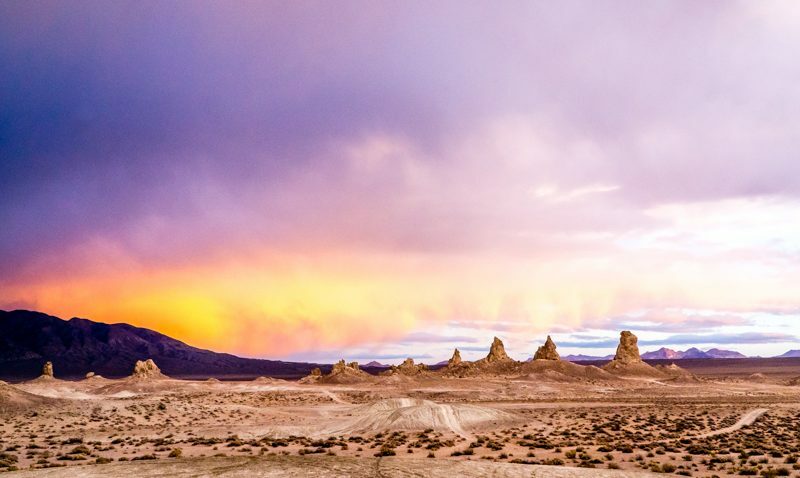 Some locations can be off the beaten path, which usually means peace, quiet and beautiful surroundings, but be prepared for the occasional dirt road, a longer drive to area attractions or going a little off your route to get to your host’s location. Buying the wares. When a place of business is offering free accommodations and just happens to have beautiful produce, divine cheeses or wines that hit your sweet spot, it can be tempting to over purchase. We found it’s important to give ourselves a budget before we arrive. Free camping is great but when you wake up in the morning with $200 worth of wine in the RV…well, it doesn’t seem like much of a deal anymore (the good news is you’ll likely be invited to stick around a little longer). This could be an upside or a downside depending on how much you like wine. Pets can be tricky. Some farms tend to have working dogs and barn cats to keep the critters away. We have seen signs that say please don’t let your dogs out or will ask you to please keep pets inside. It’s always a good idea to ask your host up front. Most places have been more than happy to put their dogs inside for a spell so we could take our cats on a walk. If you’re a member of Harvest Hosts already, let us know how your experience has been. If you still have questions, post them in the comment box below and help out our community. Disclaimer: While harvest hosts sponsored this video, it was all our idea and we contacted them with the ideas because we love the program that much and wanted to share it with all of you. As always, the experiences, opinions and thoughts are all our own! Hey guys! great blog. Do you guys have an updated code for Harvest Host? after reading your blog I think we will try it. Glad to find your blog. We are doing a cross-country road trip and just looking at campground prices (not to mention hotels!) was scaring us. We want to do a few practice trips between now and then more locally so this might be just the thing. Thanks!! Nikki, I share your limits for spelling and grammar. Go for it with gusto. We are investigating joining Harvest Host and see the map, but it doesn’t seem to show the actual places that participate. If we join, will we see the host business name? Yes, the actual places are not shown until you join. Once you log in as a member you get all the details. No chores for Harvest Hosts, the only thing that is requested is you purchase something to support your host. I love the idea of visiting farms and other interesting places. We are all about being lifetime learners! You have really opened our eyes to so many possibilities for free or almost free camping. Rock on and keep up the good work! I came across this site by searching for quite scene. I’m so excited to see what the future brings to us. We’re thinking of signing up soon. Thank you for sharing your experience with us. Do any of these hosts offer long term stays? I would love to be on a farm with my RV. We joined Harvest Hosts when on an out east adventure this spring/summer. It seemed there were fewer affordable rv parks in the east and so I said—“Why not try Harvest Hosts?” We stayed at three places up in Maine and Connecticut. Two places were very nice, friendly, and clean, even though one of these that was labeled a farm/orchard had grown into a full fledged grocery with asphalt parking lot and a goat pen. The third place was from a Stephen King novel and although we had called ahead, the farmer’s wife had not mentioned it, and she was away and the sheep pen with old motorboat and weeds made me feel dreadful for the panting hot sheep. There were chickens and an unfriendly dog and maybe it was the unbearable heat and laundry hanging on the front porch for what appeared to have been a couple of weeks…..but we were very happy to leave!! LOL—–In hindsight it is funny—although when my husband fell into the electric sheep pen fence trying to lift tree branches over our rig as we departed, he was not laughing……:) We are looking forward to more Harvest Host stays out west this year. i was just wondering….do you need a reservation with HH or do you just show up? seriously considering joining for our NH to Florida trip in a week- the long way! You want to give them a 24hrs heads up and make sure they are not full but each location has all the info listed on the map. It makes it super easy. Its still our favorite camping program to date! We have been a member of HH for a month now and we recently stayed two nights in Sam Mazzo’s Farm in Burlington, VT (which had a petting zoo 🙂 ) and we have Morse Maple Farm and Fresh Tracks Winery booked for the 5th and 6th of August in Montpelier, VT. You can’t beat the places and the people you get to meet and the part we love most is that we heard you will be the only RV’er the majority of the time. Opting for a campground where you will get diverse camping options. And there will be several wine-growing areas, too. You guys are seriously the cutest! My husband and I have been perusing the internet and soaking up every bit of info that we can. Your site has been so incredibly helpful and I just wanted to thank you for that! Hopefully, we will be able to hit the road sooner than later…with our 1 year old son. Yikes!! My husband, dog and I plan to travel this year in our Airstream trailer. He is originally from farm country in Pennsylvania, I’m from dairy country in New York. We want to really experience the US and can’t think of a better way to do that than through the eyes of the local farmers along the way. In Los Angeles we’re closet farmers with a penchant for fresh veggies and real food! We keep two small raised garden beds and a couple of fruit trees, mostly we feed the squirrels. It would be incredible to see what our farmers grow and how they do it. YUM! Sounds great! We love spicy Cajun food. We love the idea of Harvest Hosts! We spend so much time boondocking and would love to be able to explore the Northwest Via farms and wineries. We’ve been considering a membership for a short while now! We’re really looking forward to staying in farms and museums -fresh fruits and veggies and educational/interesting adventures -I don’t drink much at all. I am just now learning about Harvest Hosts. What a great way of seeing different states, farms, and wineries. We are just starting out. We want to show our children what’s out there, hands on experience…not from a book. Then after the day unwinds with 6 kids…I’ll have a glass of wine please!! I would love to stay on a farm!! Thanks for sharing your adventures with us!!! We would really like to go play at a Harvest Host. 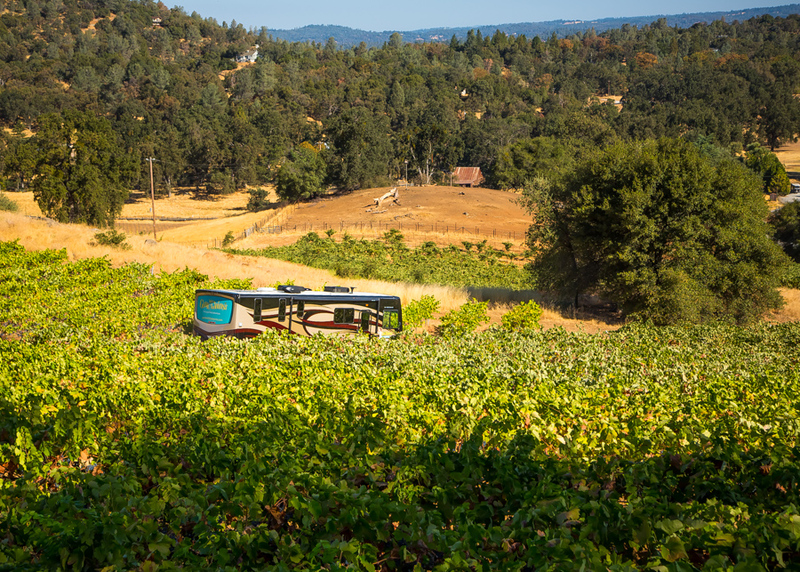 We love our wine, but come from ranching and farming families and love going back to our roots. Harvest Hosts, what a great concept. Can be a win-win-Wynn for everyone! I think the wineries would be my first choice, since we love wine…and camping…and wine. Did I mention wine? Cheers! I’m retiring in May and my wife and I are ready to take the RV on the road. This would be a great way to see this beautiful country of ours and learn more about this program. Would love to give HH a try. 2015 is going to be a year of new chapters for me and would love to include some new adventures. Love this idea! Sure beats sleeping in WalMart lots! Going to look this up. My wife and I started RVin full time when we retired in 2009. Tripped onto you site a couple of years ago. I’ve been entertained by your video’s and your youth and excitement about the RV life. Keep it up, you’ve discovered a great life. I’m about to add solar panels to my coach and I’ve been wondering why you changed from the flexible roll out panels you used last year. We still have the flexible panels on our Roy! They work well, but we only recommend them if you need them for weight reasons or if you have a curved roof. If you have lots of questions it might be worth it to book a chat session with us, we’re happy to offer you advice before you spend thousands on a new system. HH is on our list to try! Thanks for telling us all about it. What a fantastic idea! We had no idea Harvest Hosts existed, and the discovery is just another reason to keep following “Gone With the Wynns”! I love you videos. They are very clear, informative and always fun. You are both very personable and genuine people. Harvest Hosts seems like a great way to enjoy new scenery, meet wonderful people and have special experiences. You guys do a great job and I watch all your videos. Sometimes more than once. Great series, will keep reading while we build the ultimate RV… on the road next year forever. This seems like a really cool idea–do you know if most places are kid-friendly as well? I neglected to say that I would be most interested in the farms! Just found your site, thanks and we will join and utilize your great info once we purchase our first RV…..very soon! Look forward to staying on farms (born on a dairy farm) and……..wineries – of course. What a great idea! I love touring farms and wish I could do it more often. Now I could have that option! can’t wait to give HH a try! Been toying with checking out Harvest Hosts! Maybe, this would be the perfect opportunity to check them out for my other RV’ing friends? Exactly what we’re looking for! Thanks for the info. This sounds amazing. Exactly what we have been looking for too! Have visited lots of wineries, but not so many farms. Can’t wait to see all the unique places harvest hosts offers in North America! Waiting for our RV on order to start our great adventure. Love the wonderful alternatives to a regular campground to explore our world! Thanks for sharing your adventures Jason & Nikki and thank you to Harvest hosts for creating a unique niche for RV’ers. We have been looking forward to staying with harvest host ever since we bought our camper. Can’t wait. Wow! Awesome idea! I would love to visit farms, wineries and breweries and help out at all of them; I love experiencing new lifestyles! And I love learning. In fact, maybe HH should have a work-study program where we work to earn our stay, and help them out but learn at the same time. 2 week opportunities? Yes! We have stayed a two Harvest Hosts and had a wonderful experience at both. We just got our first motorhome last year and we would LOVE to do this. We have always enjoyed visiting wineries, so that would be our favorite, I suppose, but visiting a working farm also sounds very cool. That’s really a good idea! We will try that very soon… love wine, love quiet locations & nature! Farms please, want to hear the voices of the farm animals, how neat would that be? We are new HH members and new RVer’s. haven’t had a chance to enjoy any of the host sites yet but hope to visit a few sites soon – wineries or farms – both sound great!! This is great info. We’d love to head out and visit some farms. My wife and I are so excited to see what the road brings us when we get that membership! I love the concept of Harvest hosts! I can think of places that might even consider joining themselves! I met these folks a few years back at an RV show and made a mental note I quickly forgot to join…thanks to your video and discount code I did in fact join….many thanks guys! My husband and I are looking to become full-time RVers until we find the state we want to stay in. I am 35 and he is 47 and we have been talking about doing this for years. Your site has been a great resource! Thank you! I definitely want to look into Harvest Host. We’d be more apt to enjoy the farms! HH sounds like an excellent adventure. We just started full timing. For years I traveled Nort America rushing be air to get to business destination. Now we will get to explore at our own pace and see the real Nort America. 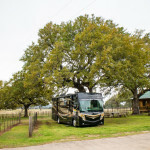 Wine, farms and a sweet RV – nothin’ better! My wife and I pick up our new trailer next weekend. Time to experience the great outdoors and see the the country (at least the West for now). Harvest Host seems like a great way to get off the beaten path. Definitely a unique experience!! Looking forward to HH! Beginning our new adventure in June of 2015. Love the idea of staying at unusual and informative locations, and not the typical parks. So excited! Loved the video! This looks like a great way to camp and have a unique experience. Love the idea of staying at a winery! We will be signing up for HH as soon as we hit the road next month. It’s one of the things we are most looking forward to on our journey. We love the idea of eating and drinking across the country! As new RV owners, I think Harvest Hosts is a wonderful opportunity for us to experience all that camping has to offer. I would hate to choose between farms or wineries. Both offer so much. Can’t wait to try staying with a Harvest Host! Love this concept. Can’t wait to try it. My hubby and I have been “city kids” our entire lives of more than 55 years. 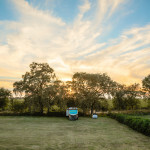 Just since buying our rv last year have we ventured anywhere, so the idea of being able to actually stay at a farm or winery sounds like a delicious experience! ! Love the idea of Harvest Hosts – hope to try it out. Both wineries and farms sound awesome. How have I never heard of this before? So glad you made this video. We love visiting wineries and everything about this idea. I am most interested in camping at farms. That sounds great! Thank you for making me aware of this opportunity. I am a total wino. In our first year of full time RV adventures (which begins April 1!!) I want to tour the wine countries of Washington, Oregon, and California. I’m also excited to visit produce farms, where we can enjoy fresh fruits and vegetables. A friend of mine owns a winery in McKinney, TX, Wales Manor, and they have been participating in Harvest Hosts for years with great experiences. Check them out! Beautiful surroundings, entertainment on some weekends and sleep with the grapes! What would be better then camping out at a winery…..the only problem, bring Hubby or Girlfriends!?!? We love this idea! Camping at a winery, what could be better! I would love to see accessible locations in the Harvest Hosts program. Hard pack and dirt do fine, but #2 gravel is death to a wheelchair. Would really enjoy visiting the variety of farms and wineries. Looking forward to experiencing the different locations over the next 4 years! Harvest Hosts seems like such a unique idea. It seems like a win, win situation for both the hosts and the rvers. I would look forward especially to the farms because I enjoy animals and fresh produce (not to mention the beautiful countryside). I particularly enjoyed that the program got started because someone experienced a similar thing in Europe that we didn’t have in the U.S. So they started their own program! Good for you! Well I grew up on a farm so the idea of staying at a place with any kind of agricultural connection is a plus in my book. Sounds like a great way to travel! The farm layovers and visiting looks really inviting and truly a new way to see the country. I LOVE this idea and as “newbe” RVer’s this would be a great way to see the USA. Wineries please, as they are on our destination list. Thanks for this info! We are planning on packing up our 4 kids and hitting the road for a year. Your site has been such an inspiration. What a great concept. We can’t wait to try it out. Found this on Facebook and I think Havest Host is the best thing since sliced bread! Can’t wait to do more research on it. In looking at the maps they are everywhere. We have no preference over winery or farm, all look to be a GREAT adventure! The serenity of tucked away places with people who love the land, work the land and produce on the land and you can enjoy this natural joy, beauty and bounty….. Free!! Adding…..Harvest Host an exquisite “new” style of camping! We have been following you for quite some time and your vid’s are great. This looks like an awesome idea and we would love to try it. Enjoy your new website, too!! This definitely seems like an awesome way to travel. I remember reading a version of this post a while back on your blog and glad you’ve revisited it because we really loved it and it’s a nice reminder of what’s out there. We’ll be trying these spots out once we’re on the road. Thanks! Wineries, for sure! We are mis-planted Californians living in the Southeast right now but are planning to be on the road full-time in a few months. We will be heading back West! We read your post on Harvest Hosts this past summer and were intrigued to try it and are now looking forward to trying it once we have our home on wheels. Richard is a Certified Sommelier and Certified Wine Educator, so we are definitely drawn to wineries, large and small. Many wineries also have small gardens (in addition to grapes), so that’s a plus. Thanks for telling us more! Would love to try Harvest Hosts, especially the farms. What a unique way to camp. So much more fun than the usual rv park! I would love to connect with friends in a great new atmosphere and make memories that will last a lifetime! These Harvest Host sites sound just like that! Thanks Wynns (“Gone with the Wynns”, precisely) for the heads up…So good to know these places exist! What a cool adventure! Are children allowed to participate in the Harvest Host Rules? Yes, you will find that the farms are especially great for kids! We are definitely planning on giving Harvest Hosts a try this year! 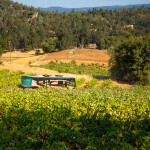 I love off-the-beaten path locations and watching the farm/wineries come to live early in the morning. As an ex-pat with 4 children we’re always on the lookout for new places to visit and discover more of the USA. This kind of thing fits very well – the farms for the kids, the wineries for my wife and I. We do tend to find that some of the major chains can be more crowded and noisier (probably strange to hear from someone with 4 kids, but they’re remarkably easy-going..), so the idea of unique places off the beaten track, and at much more reasonable rates is highly appealing. Of all the plus points, seeing farms is a family favorite! Really looking forward to some adventures and Harvest Hosts seems like a great way to find some. I really enjoy learning about the history of different areas and how those areas came to be. I would like to learn about the different farming genealogy and how things have changed over the generations. I’d love to stay at the farms! If I could get in some running while I was there – even better! Win or lose a Harvest Host membership will be in my near future. Fresh produce, new wines, cute animals…what’s not to love? It sounds like such a wonderful program. We would certainly use it and what a great way to give back to the hosts and possibly learn about their lives. Look forward to camping in a farm environment. I teach the occasional cooking class & always recommend using fresh seasonal produce. Love the idea of farm to table & learning more about the “farm” side of cooking. I have been thinking about joining Harvest Hosts for a few months now. All of the pics you post always look amazing. I can’t wait to finish fixing up our old motorhome so that we (my husband and 2 children) can hit the road. Thank you for all of the hard work you put into your videos and blog. This is a great idea. Good way to try experience something different and it looks like there are even some members in Ontario! Will definitely promote this to my RV’ing friends. Thanks for informing us about this great program!! Looking forward to using it! This looks like an informative and fun way to get the most out of a camping adventure — the farms appeal more to me; the wineries to my wife. Thought you did an excellent job of “filming” and editing this episode. Thanks for the great info. My husband and I have traveled extensively across the US over the past few years and we were surprised to see the many wineries all over the country. We grew up on the west coast so we were familiar with Napa and Temecula, but had no idea that wine could grow in other climates and regions. What comes to mind when I think of a program like Harvest Hosts is good old fashioned hospitality. Opening up your gates and doors to weary travelers and offering a cozy and beautiful place to stay for the night. When we travel, our only rule is: no major highways, so the “off the beaten path” is very appealing! 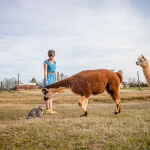 Not to mention having the opportunity to sample the delicious fruits of their labor, gather fresh eggs and feed an alpaca is a win/win for all! Thank you for another entertaining and informative video. Our RV adventure begins this fall and my husband and I already plan to become Members of Harvest Hosts to eat, drink and be on our merry way! I would prefer farms, but any rural experience would be wonderful. By the way, entering for the free membership is confusing. But maybe I haven’t had enough coffee. Love your blog! Love your posts, we have been on the road for over a year now and love seeing and learning and enjoying our country. We even stayed in the same camp ground in Asheville, that’s how we discovered “Gone with the Wynn’s.”. Hope to see you on the road again keep the information coming. Diana, you got it!!! Your kids are going to have the best memories! Why choose? I think the Farms AND the Winery are a FANTASTIC place to visit! But IF I had to choose, I would choose the FARMS because I LOVE animals! I could watch the animals ALL DAY! This looks like a very unique experience! I love agriculture, adventure, learning, and RVing. This combines all of those things! We love the opportunity to stop at a good winery, overnighting would just make the experience better. I am still about two to three years out from retirement and would love to travel like this. Beautiful video guys! We were Harvest Host members our first year on the road. We only used it a few times. It’s a great deal and like you think it beats the pants off of Walmart. Our only problem with it was sometimes it was hard to justify the extra cost of gas on the out of the way places for a one night experience. Regardless, it doesn’t take many nights to recoup the cost of memebership and it’s cool to support small businesses. One of the most memorable places was a flower farm in Vermont that was beautiful. We didn’t get it our second year but renewed it about 6 months ago. Goats are my favorite animal so I’d LOVE to stay on a goat farm! Thank you for the info! This is awesome! Do you think this is a practical option with kids? We live in an RV and will be traveling around for the next year, but we have three very small children and a tight budget. This sounds like a blast for my kids, but not everyone appreciates tiny balls of energy running around! A lot of the farms are geared towards kids with activities for them such as corn mazes, gold panning, feeding animals and so on. Once you are a member you can see all the details about each host and it helps a lot in planning which stops you want to make. We think its a great program for kids! Brand new to RVing and excited about visiting Harvest Hosts! Thank you for the introduction to this unique experience. Just what I was looking for. Looks like lots of fun and either the wineries or the farms would be interesting. We are looking forward to visiting Harvest Hosts. I think it will be fun to visit both the farms and the wineries, but I think my favorite will be the Wineries. I do hope we get our RV soon……Thanks for sharing with us all! I like the idea of getting off the beaten path. My wife parents are farmers and you tend to see more of the country when you are not on the main road. I’m not afraid of gravel roads for the change to learn and experience something new. The kids love going to the grandparents farm. This looks like a neat opportunity to teach our kids more about what America is about. My husband is looking forward to the winery stops – I am a farm girl at heart and will be checking out the closest farms. Look forward to trying out the Harvest Host way of camping! My kids love farms and we look forward to potentially being able to learn and help out on the farms we stay at. Hi, very nice movie about the farms and wineries. You are right, it for sure beets the Walmart parking lots. Keep up your interesting work and save travels. We live in Saskatchewan and are planning a long trip to the Maritimes this fall. Neither of us drink so we will probably look up the farms. Looks like there are not too many on the map yet, but maybe there are more to come. Would love to try farms or wineries. Think we would enjoy both experiences. We are just finishing up our second year as snowbirds and would love to try this wonderful alternative to the usual “parking lot” style rv park. This Harvest Hosts concept sounds very interesting. My sister studied wine and viticulture in school, and is now traveling the world as she harvest-hops from one winery to the next. After seeing some of the photos that she has shared of the places she’s worked, and hearing stories of the amazing people she’s worked with, I’d definitely look forward to spending time at a winery. Plus, buying a delicious bottle of wine in exchange for a night of hospitality doesn’t sound like a bad trade at all! Such a tough choice. I think farms would be our first choice. We eat food all the time, we only drink wine sometimes! We’ve just started living the RV life! We’d love to visit some farms and nature preserves. Sounds like HH is the way to go… What a brilliant idea!! Wineries and farms are 2 of my favorite things! Thanks for the advice and awesome opportunity!!! I can’t wait for the wineries! Rich is pretty excited about the farms. We are both excited about learning how the hosts run their businesses. We are thrilled to see these options opening up! We can’t wait to join in the ‘support’ and ‘giv’e as a sign of thanks for their generosity. May this grow into something even more fabulous! LOVE the idea! We are split down the middle. I look forward to the farms and Kris looks forward to the wineries. We love that it gives us a chance to visit unique places and go behind the scenes when visiting the hosts. Love wineries and farm. We did a biking trip in Italy and spent several nights at agritourismos. It was the best part of the trip. To do that in the states would be great! Wineries come first followed closely by small farms that could use a hand and let us be around the critters a while. Coming from farm folk, we do miss it. Thank you for the video and for enlightening us on this great RV opportunity. We would love to have an opportunity to take the kids to some farms, so they’d see how we grew up some 25 years ago. Spent a year FT’ing but have yet to stay at a HH. We would love the opportunity to experience the peacefulness of a HH site. The video is very inviting. Can’t wait to try out Harvest Host. Seems right up our alley, what’s not to like? Learning about the local produce and meeting new people. As for farm or winery? Both? I love farming and hubby like wineries so we will do both. Love the new website! Awesome design. We have a friend who has a cattle farm and who operates a small campground on the farm. The farm is nestled in treed hills on the Canadian prairie. We camped there for several years and enjoyed it so much we feared the day we’d have to return to a provincial / national campground. We since moved and sure miss the tranquility offered in camping on this gem in the prairie. We’re now going to retire this summer and having read your previous blog about Harvest Hosts, we were primed to sign up. Thanks sharing this tremendous camping opportunity. This seems very cool. I am interested in the Farms. Hey guys – nice video. Jason – do you have a drone yet? You can do some fun vids and pics with these things. Thank you for the honest review. I passed it on to a trailer specific group that travels small. How perfect for Using Harvest Hosts! Love the idea of staying at and exploring a winery. We don’t drink a lot of wine (although the process is interesting), so we’re looking forward to the farms! Can’t wait to try something new. Or maybe run into Stephanie and Patrick! As we are getting ready to hit the road full-time, I have been thinking about Harvest Hosts. Sounds like a great way to learn and meet new people. Great video! Looking forward to some fine wine. Hey guys, as always really appreciate the insight. We hit the road on May 1 and looking forward to doing things a bit different then the norms and seeing things we wouldn’t normally see in our stationary lives. We are making plans to be snowbirds this year. While my spouse doesn’t drink he is always willing to be my designated driver since I don’t drink and drive. We both enjoy visiting friendly wineries and even purchasing a sweet merlot wine for my enjoyment later. With that said working farms can offer an interesting change to city life. Thanks for the contest. AWESOME is the first word that comes to mind with Harvest Host concept! I have been following you guys for awhile now and always look forward to your next post. Love animals and wine so I think they both will be just fine. I am tired of the same old cookie cutter locations and I am looking forward to a completely unique experience. I don’t usually have time to take a break from work and I have vowed to make that happen this Spring and/or Summer. Life is too short and you should try to live it and experience it in more ways than one. Hopefully one of my experiences will be at Harvest Hosts. This is SO cool. My husband and I are just now talking about doing a little bit of low-key boondocking (we’re sailors in a former lifetime so are pretty good at living in a “self-contained” world) and this looks wonderful. Makes me much more eager to get going!! This sounds great! Farms and wineries, I don’t think I would have a preference. Both sound really interesting and fun. We’re about to head out on our own RV adventure and looking forward to farms AND wineries! Kudos! I’d love to hear more stories about individual HH locations … although I guess these reveals some of the mystery locations. I learned about this from you two! Thanks for sharing! What a great experience to learn about another lifestyle while getting fresh veggies or wine in what looks like a picturesque setting. We have camped and boondocked in many places in the USA and Canada. But this year we are starting a 3-month odyssey through the northwestern states and British Columbia. What a treat to stay on farms and orchards as we slowly explore each region! I love it! I am looking forward to great experiences with Harvest Hosts. Thanks for the opportunity to vie for a membership! Great blog. I’ve been looking forward to HH since you first mentioned it. After 2 years of research and planning (much of it using your site), my house is for sale, and I’m ready to start my adventure as soon as I close. Hoping to meet up with you somewhere (maybe at a HH site) to thank you for all your great advice. Harvest Hosts has me excited as an opportunity to educate our toddler on farm life without the commitment of buying a a farm! We look forward to joining the program! I am looking forward to staying at some farms. I’m not a big wine drinker but I am willing to learn. Wow . . . this is seriously cool and fabulous!!! I’m about two years out from buying my first RV, but when I do I want to go full-time pretty quickly. I was wondering about the crowd issue . . . I love people but too many and too wild can make me a bit claustrophobic . . . this is Perfect!! Now I will start thinking about farms along with campgrounds as I think about ways to make a living as a full-timer. btw I think you two are terrific . . . SO inspiring! My husband and I can’t wait to try out some of the Harvest Host locations! 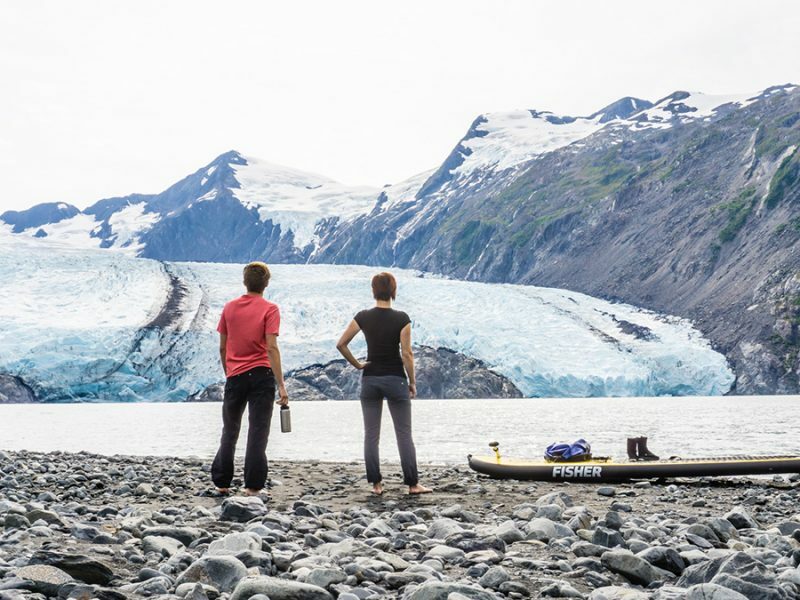 Even though many are off the beaten path, that only adds to the adventure and that’s something we can’t get enough of. Also, I love the idea of helping spread the word about and furthering an independent business! My Daughter and I will be moving out of our beloved rental home by July 4, 2015. The Adventure plan is to sell off at least 75% of our belongings in 3 months and buy a motorhome or 5th wheel trailer and live in it UNTIL… I am a serious pack rat and I have a daunting self created task ahead of us. I have been following Gone With The Wynns for over a year now and I am always so inspired and excited to experience some of life as they do. I love this video about wineries and farms. My cousin and her husband actually have a winery up in Washington and I am hoping to camp out there here and there. I will have to pass along this site and link to them 🙂 Keep doing what you do WYNNS, You two (plus cats) ROCK!!! This sounds like a great idea. I would personally like the wine tasting, as I have seen plenty of farms. I’m new to the RV world and this is truly a motivational starter. What could be better than meeting hard working people who love what they do and have fresh products to satisfy our taste buds. What a wonderful idea. I love you guys and your site a lot. I’m a newbie with RVing and always look for exciting ideas to do while traveling. I grew up in the PA Dutch country and just love the farm and all it’s workings. Would love to do this on the road too! Wine or farms…tough call. Can’t I have my Pinot and Fresh veggies too? I think I would enjoy alternating between the two….but I might be ever so slightly more in favor of the wineries! The “I Love Lucy'” grape-stomping episode comes to mind!! We have experienced beautiful wineries with Harvest Hosts. It is always a tasty and beautiful experience. Looking forward to our new lifestyle. Ty for all of your info. Thank you so much for showing us this incredible opportunity. I’m learning stuff with you all the time! Your pictures make me want to experience the wines (which won’t surprise my husband) AND petting the cute animals (which definitely will surprise the husband)! Looks amazing! Love your website and your way of life. Hope to cross paths with you one of these days. I would love to win this. Imagine a working farm or winery. My hubby and I have travelled across Canada (from Vanc., BC to St. John’s, Nfld.) sixteen times (so that’s 32 if you count the trip back!). Also have travelled in 37 States. We wish this had been an option on many of those trips! Would LOVE to stay at a winery or a farm! What a fantastic program! Going for the wineries (but will definitely check out the farms too)! Thanks so much for sharling! I learned about this from you two! Thanks for sharing!! Sounds like a great idea for the likes of me. Experienced a similar set up in Europe without having to have an RV. 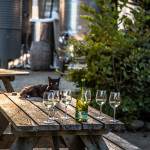 So excited….received an offer on our house today…closing date April22….already sold our sailbkat and vhen off to buy ouf Fleetwood Excursion..already bout our toad..an adorable white Jeep Patriot…looking forward to staying at wineries….never met a bottle of pinot i didn’t like! Wine tasting and staying over night = win. Harvest Hosts seems like a great way to experience not only the outdoors, but the calming atmosphere that surrounds the wineries. Needless to say, I am most looking forward to the wineries because you meet lots of people that enjoy the company and what locals have to offer. Joined Harvest Host a cuple of months ago and loved both of our Host experiences and can’t wait to try more!! It sounds like a good program, but we tend to like to stay in one place more than one night and find camp hosting works well for us. Allows us to stay for a while in different parts of the country and really spend time learning what’s there and making new friends. This has intrigued us from the first time we heard about it. Looking forward to checking it out and winning a membership! I love working at our local winery and now when we travel in our RV to be able to continue this is great. HH sounds like a great idea and a lot of fun! I’m looking for unique experiences for my son and myself. We’ve been thinking about joining HH for the past year but not sure how much we would use it because of the one night stay. But it does sound like we would enjoy it. I love your posts about the times you’ve stayed at some of the farms etc. We stay at most hosts 2 days and some we have stayed more. All you have to do is ask (which is easiest to do once you are there and know you are really going to love it). Harvest Hosts sounds great. I’ve not experienced it first hand but I have lived on my own small homestead farm in central TX since 2009. 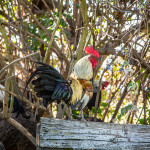 I love the farm life….making food, raising animals and gardens. So staying at different types of farms in our RV sounds very appealing. We are currently working on fixing up our 93 model motorhome, then we are going to sell our property and hit the road. It would be great to try this Harvest Host thing out once we get going. I would love to stay at the farms. Harvest Hosts – what a great idea! I’m equally attracted to farms and wineries. In fact, if I can feed te goats with a glass of wine in my hand, I”d be happy as can be. I look forward to seeing how the various farms operate. Having grown up on a farm (5000 chickens) and having potato farmers and horse ranchers in the family I have often yearned to get spend some time back in that environment after a high tech career. Awe, the hosts would love to have you and I am sure swap stories. Harvest Hosts sounds like a lovely way to see the countryside and make new friends. We love Harvest Hosts! We’ve stayed at a bunch of wineries and farms and the experience can’t be beat! I would love this – esp taking part in farm operations and winery tours & tastings! Having a quiet beautiful place to stay is more important than hook-ups. Thanks, Jason and Nikki. You always find the coolest places. Come back to East Texas soon! It doesn’t get any better than Harvest Hosts, great people, great scenery and a chance to get back to nature and just relax. ha ha, it’s my favorite price too! Fantastic info, had no idea this existed. Thanks again. How cool is this. I think I would love to do this especially at farms. I bet they have some amazing cheese farms on the list. I have been fascinated by Harvest Host since the very first time you posted about it. I think it is the most unique alternative to a night of camping I have ever seen. This was a FABULOUS video. Thanks so much for sharing it. Starting next fall, I hope to hit as many of these as I possibly can. Looking forward to both! I love to photograph people in their environments and I love good wine! The photographic opportunities are fantastic! I thoroughly enjoy staying up with your travel and learning from your knowledge of RV’s. Best . . . and I will keep reading. What a great site you have here. I have camped and hiked all my life starting at the beach in SoCal. I am nearing retirement and fixing up my new 1995 Dodge Van. Thanks for all the info you share. All my vans have been self sufficient but I’ve always had a base and a job. Soon I will be full time and have looked forward to this for years. I wish I could share with you all the places I’ve camped in solitude. Beautiful streams and lakes and mountain vistas. But there are both up sides and down to the coming baby boomer surge onto the road. Fewer free places but hopefully new ones to take their place. I went to BM for years. It’s not the same now but still amazing. Hope to see lots of you folks on the road. Please take all the memories you can but leave no trace. Thanks for sharing James! There are still a lot of great places to get out there and wild camp. We are headed to the South Lake Tahoe area to do just that for a week or two. I sincerely hope our paths cross one day so we can do some story swaps! Safe Travels! You know I had been looking into Harvest Host myself. I was unsure as to whether I would like it, but it is really true that farms and wineries tend to be really great places to spend time. 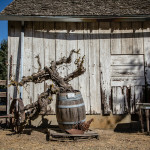 I love wineries, but unfortunately don’t have much of a use for wine, so perhaps there is something else I can purchase if I stay at the the wineries. Thanks for writing the article, it answered a lot of questions for me, and I am going to give it whirl. We are staying at our first Harvest Host location this weekend. There is going to be a festival in town and all the paid camping was full, but not our free harvest host. That’s awesome! Which HH is it and which festival? We stayed in Temecula at the Falkner Winery. The festival was the Temecula Valley Balloon and Wine Festival. We had a great time at Falkner.We ate at the restaurant and bought some wine for my Grandmother at a tasting. Great writeup on Harvest Hosts. We had a great first experience at Rio Seco Wineries in Paso Robles CA. Here is our post about the stay. Thanks for sharing guys, glad you’re enjoying it so far. Do you happen to know if there are other services similar to Harvest Hosts? Harvest Hosts as far as I know is a one of a kind in the U.S.
Me and my wife are trying to put up an on the go restaurant-like owner RV and we named it from my mother’s name. We are planning to live on the road along with it. We are also expecting a baby soon. Lucky year indeed. Would highly recommend Emerson Vineyards in the heart of the Willamette Valley near Monmouth, OR; primo pinot country. Sounds great and what great world schooling opportunities. This is a great idea. We are definitely going to be joining this site. We just started our full time experience and can’t wait to get away from the “camp” parking lots. Congrats and welcome to your new adventure! See ya on the road. Your post make me smile & keep the excitement of our pending journey fresh. When we hit the road HH membership is at the top of my list. Thanks Katie, you’re too sweet! Keep it Fresh! We are saving for a Leisure Travel Van for next year. In our travel plans we must avoid crowds due to my asthma. Harvest Host is high on our list as it provides a crowd free overnite option to experience products from local farms and wineries. WinWin. Thanks so much Wynns for featuring this unique and fun opportunity…can’t wait to get out there!!!! Congrats Renee and have FUN! We’re still figuring our the logistics before taking the plunge at the end of the month with our three boys and two dogs. Your blog has been fantastic for helping us avoid some pitfalls – thank you! Please learn from our mistakes! Thanks for saying hello! Sounds much nicer than the vegetable section at a Super Walmart! Love this!! Sounds like a great experience! Spent our first winter in our travel trailer and avoided Walmart for 5 months!!! All the same, a farm or winery would beat the pants off most private campgrounds. Can’t wait to experience this!!! As the previous owner of a working dairy ranch it is very satisfying to share and teach others about responsible, ethical ranching practices. And tasting fresh goat milk, ice cream and speciAlty cheeses is fun too :-). We just bought our rig the other day and are heading out full time. We would LOVE to win a free membership and patronize others establishments! This is absolutely a very very cool idea. I am in Calfornia and I bet there are a lot of wineries in this list. How cool. Colorado is amazing, especially in the summer! Congrats on the new rig! My husband and I purchased our first RV and plan to try out living on the road. Many of the places we have reserved thus far seem crowded and much like “parking lots”. We would love the option to explore something less crowded, while supporting local farms and wineries. Win – win. Thanks for sharing your experiences with us!! These are our favorite kind of things to share! Husband and I just purchased our RV! We are traveling fulltime with our business! This would be great to sign up for! The idea of being able to visit breweries, wineries, and distilleries without having to worry about driving home is brilliant! That’s exactly the way we feel! Is this only for RV’s or could tent campers stay as well? We are newbies, just bought our first travel trailer and this sounds like a great way to get out and about, have some fun and learn new things! I would pick a working farm so our 8 year old would gain a new appreciation for where his food comes from and why Mom tries to buy local, organic foods as often as I can, which is not exactly easy to do living in the desert! This sounds like the perfect thing for us!!! Thank you for telling us about it. We love unique experiences and I write about them on my blog. We are in England right now and I’ve been writing about it. When we return to the good ole’ USA, we will be camping. Definitely going to check this out. How do you handle water filling and sewer dumping while using this service? This was my question too! Thanks. We would love to stay at a working farm! No lines, no tourists, no gift shop to exit through. I would love for our children to see what happens on a real farm and for us to be able to buy fresh produce upon leaving! They love animals so much and would get such a kick out of it. Especially in geographically different areas than our own – with animals/wildlife they’ve never seen. Harvest Hosts is a great idea! I would love to experience this adventure. We’re new full timers and have no camping memberships yet. This would be a great first one, pick us! I am always up for new experiences. I find something to enjoy everyplace I go. Would love to see any and all of these farms and wineries. I’m committed to local food and local economies at home and this will let me do that when I travel too. Bonus! Janice, this is our favorite part about the program too! At a winery or a farm at harvest time. What a fantastic find! We’ve been talking about full-timing for years, and finally did it! we bought an RV – Oatis – last week. We’re rough sketching the rest of the year. I hope we cross paths, and can enjoy some great beers! Sounds like a plan Ann! See you on the road! Love to stay on a working farm!!! I’d love to stay on a working farm too! Currently we live above a horse barn, so not much different.  We are wanting to go full time and this sounds like a great way to save money!!! Great info. I love free camping! You guys are great! You are always talking about subjects that interest us (my husband and I) and I’m super stoked about this giveaway! Thanks! On the road full time, staying at State, County and National parks. This sounds like a great idea that I would like to try. Thanks for telling me about it. Waking to the sound of cows wanting to be milked…seeing horses gallop together in pure joy with tails riding the wind. Who wouldn’t want to enjoy this over a parking lot? I think it is a great idea. New experiences are always fun to try. I love the idea of staying on a farm or in a vineyard. Thanks for sharing the information about Harvest Hosts. Thanks for all the great info about Harvest Hosts. We looked into a year or so ago but couldn’t tell if we would be expected to buy at every farm we stayed at. Looksl like a really good deal. You don’t have to purchase, it’s just recommended to support your host as a ‘thank you’. It can be as little as a jar of honey, a basket of fruit, or an inexpensive bottle of wine. This program sounds amazing. It makes me think of something we tried out in Switzerland called “Schlaf im Stroh”, meaning sleep in straw. Basically various farms are set up for you to camp out and experience the farm – it was a pretty unique experience as it sounds like HH is as well. What a neat concept! My husband and I recently took a 6 month RV mini-retirement and since settling in Denver can’t shake the feeling that we should find a way to make a full-time go of working and living from the road especially with people like you showing how it can be done. We love reading about your experiences! So glad we could help Christine. Have fun on your mini-retirement. Thanks for the lead. For forty bucks, how can you go wrong? Wine, fresh eggs, a place to stay, what’s not to like of this offer? Having been raised on a small farm AND, having worked in a winery, I’ll have a lot in common with the hosts I’ll meet along the way. I’m taking off this fall and will certainly join this group! The more you have in common with them the longer you’ll stay, the hosts we’ve met are just so friendly! You guys put the FUN in travel!!!! Thank you for sharing!! My husband and I love finding off the beaten path places to stay. Our whole blog is about getting “Outside Our Bubble”, which just happens to be our travel blog name too. We’d love to be able to explore different wineries and such. Harvest Hosts sounds like a wonderful win/win for everyone. I had seen information about this program before. It sounds very intriguing, but when I looked at the web site, I wasn’t able to get information about what might be available in my area. I’m hesitant to plunk down my $40 for a membership if there is nothing available within a two or three-hour drive of home. Unfortunately, longer trips are not in the cards for a few more years. Still, it will be something to keep in mind for the future. Great Sugguestion Walt, I will talk to the people at HH to see if we can get a map up with pins that is public…maybe some sort of max zoom level so you can see the general area but not the specific locations. Till then what city do you live in? I can check my account to see for you. I am in Boise. Because I can only get away for a weekend at a time, I tend to limit my trips to two-three hours in any directions. Thanks. I just did a quick search and there are at least 6 locations within 60 miles of Boise, ID near interstate 84 from Mountain Home to Payette. It looks like there are over 50 locations in the ID, OR and WA region. Hope this helps get you excited. Thanks for that. Guess I need to take another look. Totally counts Lindsey, and if you’re chickens produce eggs you’re a “working farm”. Might as well go for the gold and plant a small herb garden too! Ever since I saw you all first mention you did this I haven’t been able to get it off my mind! We will def. become members! I would like to stay at a working farm. I love to watch the animal vet shows like the Incredible Dr. Pol and would love to learn more about caring for the animals. I love fresh veggies too. I’m an avid juicer and would love to be able to pick up farm fresh food on my travels. This is awesome! We hit the road for our full-time adventure on June 6th and Harvest Hosts sounds like something we definitely want to join. Nikki and Jason- just want to say you guys have been a HUGE inspiration! Never thought when we stumbled upon your “Day in the Life” video by accident in September we’d be leaving for our own adventure in less than a year! We can’t wait to meet you guys! So glad you guys took the plunge into the nomadic life! Jennifer and John you have us blushing 🙂 You two are the bestest and mostest nicest people; can’t wait to meet you both on the road. How family friendly do you feel they are? With 4 young boys my fear is most would want someone to sip wine with instead of the busyness of kids. Hey Marci! Most everywhere we have been has been super family friendly. Especially the farms! Every farmer we have met we ask the question, “so why did you decide to become a harvest host”? They always answer with, “we wanted to educate kids and provide programs where they could learn about the animals first hand”. Oh that is really good to know! Thanks for telling me that! We just purchased a new 5th wheel and I have never heard of this but it sounds like a great idea and I am interested. I think a winery would be great! This sounds like an awesome way to boondock! You’re right, it would lend a lot of extra goodies you’re not expecting (e.g., new friends, various farms/hosts, and unique one of a kind finds). Thanks for the post and explaining the pros and cons…..and the contest, of course! What timing! I’m typing this while having our very first Harvest Host experience today! We’ve had our membership for a while, just haven’t had a chance to use it yet. And it’s been wonderful! When we pulled in, they immediately invited us to stay as long as we like! Isn’t it the best! So glad you are having a great time and now you’re gonna be hooked! Hi Jason! we joined HH this spring and are just finishing up a tour of Wash state. We stayed at. Tertulia winery near Walla Walla….beautiful country side ….close enough to town….and they let us stay two nights. It was great – the wine and the wild pheasants! We love Walla Walla and it’s the friendliest small town in America! This would be a great addition to our travels with the grandkids this summer! Exactly the type of overnights we look forward to when we start full-timing this fall! Thanks for the info! A farm for sure is where I would love to stay! My uncle used to have a farm and I loved getting to visit and hangout with all the animals every summer! From your spiel about Jumping Goats Farm, I had to sign up! My son (14) and I take epic road trips each summer from East coast out West. This summer it is to tour Glacier and Yellowstone. The trip out can be rather boring – except for a stop last year at the Zoo in Omaha, NB (awesome!) – and I’m trying to push him outside his comfort zone, teach him how to make friends and have new experiences everywhere he goes. This is such a great program! Found several unique spots en route. He was hesitant at first, then I said, How can you turn down an Alpaca Farm?” So, he says he is doing this for me. Hey, I’ll take that! Thank you for letting us know about such a cool program. BTW – I will need to ditch the kid and hubby and take my mother on a wine tour this fall. What a blast that would be! Thank you, thank you! Yes, a wine tour with mom is a MUST!!!! Thanks for sharing, it’s comments like these that keep us going and smiling the whole way. What a Better learning experience then parking lots for the kids. You can always come park here at our house in Austin, and you don’t even have to buy anything. But we WOULD appreciate it if you’d take the pugs for a walk. We got a membership despite the fact that in Ontario there are, at this point, participating farms are few and far between just to support the program. Looking forward to checking it out this coming summer – I am getting out Airstream out of winter storage tomorrow. I know Don & Kim (The HH owners) are eager to get more locations in Canada…if you know any cool spots I’m sure they would appreciate the local scoop! I love, love, love the idea of staying at these types of beautiful places! We close on our house on June 2 and hope to be on the road by the fall. Can’t wait to try Harvest Hosts! We became members of Harvest Hosts last September and since then we’ve stayed at about 7 wineries and 1 berry farm right out on the ocean near Santa Cruz. It’s our favorite way to boondock, and has lead to some wonderful experiences! A berry farm right on the ocean and next to one of our favorite cities?!? We must visit this place!!! Harvest Hosts gave me several locations in that area since Santa Cruz has ‘no-RV’ policy. Then there is a SWEET little farm, just about 15 miles north, on the way to Half Moon Bay. Plus, I made cheese not too far away! 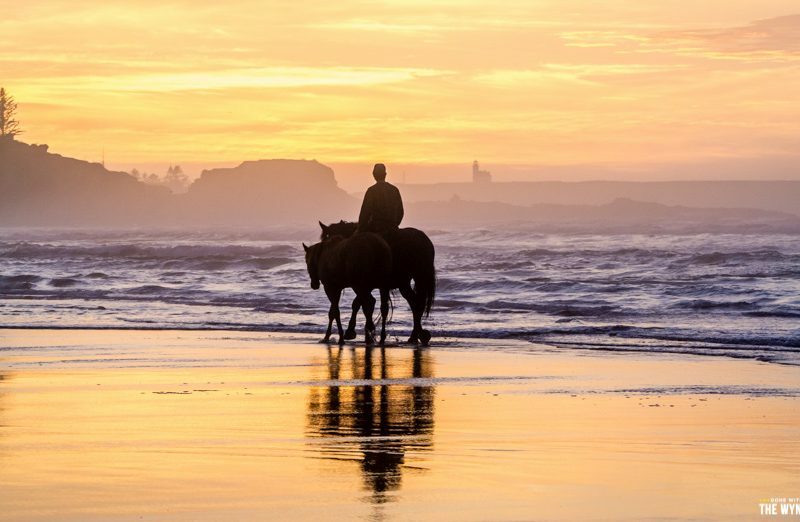 Thank you so much Jill, we love Half Moon Bay…didn’t know there was a HH farm there. So Cool! If you’d like to stay at a farm in Bozeman, Montana this summer, look me up. I RV to get my four Jack Russell Terriers from Texas to Montana. But I’ve gotten the bug and have been planning more adventures. We’re still workin out our Summer-Fall plans for 2014…we’ve heard such great things about Bozeman and Billings! Thanks for the invite, we will totally take you up on that offer when we finally make it to Montana. It’s a great program and such a nice way to gain great experiences. I had the chance to stay at a cherry orchard in Michigan a few years ago. What a terrific experience. It would indeed be great to stay at more orchards, vineyards, and farms! Cherries?!? Where do we sign up? Neat little writeup of the program. We’ve been thinking about it for a while, but the overnight thing has kept us away. There’s not a handful of tines we’ve stayed 1 night somewhere in our 5 years on the road. It’s nice to know some places allow you to stay longer. We love the HH program, especially when the wine and cheese are yummy! Originally we were ‘afraid’ to ask for an extra day, but we’ve had some hosts offer us a week during slow times! I was thinking this would be a great opportunity for us as a small fam to experience small farms, creameries, dairies, etc. Thank you for bringing it to light! We stayed at Norman Hardie Winery in Prince Edward County last fall. We went to help with the harvest and they allowed us to park for the night. Much delicious wine was consumed, we learned a lot about wine making and I got a very unusual birthday with a hundred of my new friends. Cool! Sounds AWESOME! If you’re still friends with the owners of the winery you should send them info on HH! Thanks for letting us know about your HH experiences! I’m very interested in checking out their membership, although I think our dog would need to work on the farm in order for her to get the exercise she needs! I’m sure there’s more than enough work to go around for your furry family member! haha. nothing better than staying at a vineyard after a great wine tasting!! We are getting ready for our first big trip this fall and cannot wait to try out a place or two or three! I would love to stay at any farms that have roadside stands.Home grown local produce is always the best! My husband, fur baby and I have been snow birding to Mexico and California for the past 3 years staying in duplex condos. This year we bought our first RV and will be touring the southwestern states for 4 months this winter. This is exactly the types of experiences we are looking for. Thanks! Breweries and farms are two of our favorite things! 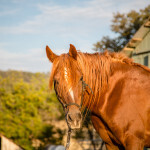 Any ranch – love horses! Very cool! Thanks for the info. We travel with two dogs and a child under 10 – so I’m wondering if many places will be open to us staying – such a novel concept and SO NOT a campground or Walmart!! Several of the farms we’ve stayed at actually have ‘family’ events where they let the kids see how to milk goats, feed the pigs, etc. It’s such a neat experience seeing the “behind the scenes” of a working farm and ranch. We haven’t joined HH yet. Our trips so far have been to our far flung family. 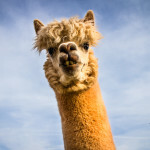 We have 2 Alpaca ranches within two miles of our home. We have 2 breweries nearby, and 3 wineries. We love truck farms and fruit farms (orchards). Medina is famous for their apples, and Fredericksburg is famous for their peaches, as well as Wildseed Farms, where they grow all kinds of flowers for their seeds (duh). We have a pick your own Lavender farm in Blanco. Oh, wait. Why was it I wanted to leave the hill country? Oh, yeah. We don’t have any mountains. It would be worth $40 just to find some summertime sites in ski country. 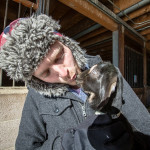 Loved, loved, loved your pictures of the goat ranch!! We have been to the Enchanted Circle in N.M. by car and by M/C, and plan to take the RV as soon as we can. By the way, your little car would be perfect for Eureka Springs. Leave the RV out of town. Great people and great club! We gave away one on our site. We need to win one for ourselves! Haha, too funny Brian. I saw in the newsletter you were giving one away sad we missed it. As I have said in the past… you guys are the best… and now what an opportunity to get closer to the land… my wife is a chef… and all she talks about is getting closer to the land. leave it to you guys to find the most unique places to staykeep those kitty cats safe! I think my kids would love to get a first hand experience with a working farm. Love your Blog! Sure hope to win the Harvest Host membership it looks great to stay on a farm or winery rather than a RV parking lot! So much better than a typical parking lot! Thanks for this post, I’m going to go check out the link. I would love to stay at a horse farm!